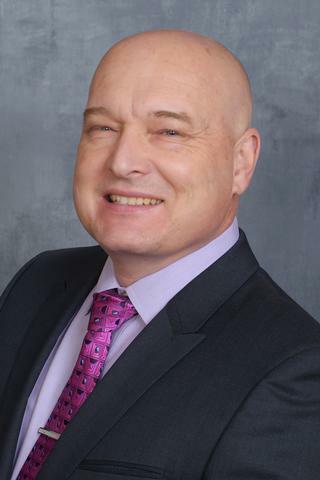 Roman A. Eliseev, M.D., Ph.D.
Our primary focus is the role of mitochondria in regulation of cell fate in normal stem cells and in cancer cells. The main goal of our research efforts is to understand how cell metabolism determines cell fate and how it can be manipulated for the purposes of prevention and therapies. Mitochondria are "powerhouses" of the cell and also important components of cell signaling. In undifferentiated stem cells mitochondria are inactive but become activated during the process of differentiation. We focus on the mechanism of this metabolic switch in mesenchymal stem cells (MSC), common precursors of osteoblasts, chondrocytes, and adipocytes, and how this mechanism is disrupted in aging and in various diseases. Similarly to undifferentiated stem cells, many cancer cells show preference for glycolytic over mitochondrial metabolism even in the presence of adequate oxygen, a phenomenon known as the Warburg effect. We study how cell metabolism regulates sensitivity of osteosarcoma to treatments. Our data indicate that the Warburg effect is especially pronounced in osteosarcoma cancer stem cells (CSC), and reversal of this effect makes CSCs less viable and more sensitive to radiation. Shares BH, Busch M, White N, Shum L, Eliseev RA. "Active mitochondria support osteogenic differentiation by stimulating ?-catenin acetylation." The Journal of biological chemistry.. 2018 Oct 12; 293(41):16019-16027. Epub 2018 Aug 27. Feigenson M, Eliseev RA, Jonason JH, Mills BN, O'Keefe RJ. "PGE2 Receptor Subtype 1 (EP1) Regulates Mesenchymal Stromal Cell Osteogenic Differentiation by Modulating Cellular Energy Metabolism." Journal of cellular biochemistry.. 2017 Dec 0; 118(12):4383-4393. Epub 2017 May 31. Shum LC, White NS, Mills BN, de Mesy Bentley KL, Eliseev RA. "Energy Metabolism in Mesenchymal Stem Cells During Osteogenic Differentiation." Stem cells and development.. 2016 Jan 15; 25(2):114-22. Epub 2015 Dec 10.